His name is Nero. 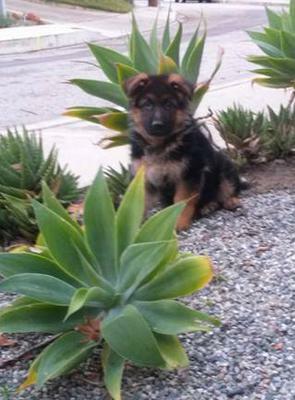 I got him from Lundborg-Land German Shepherd Dogs in Perris, California. 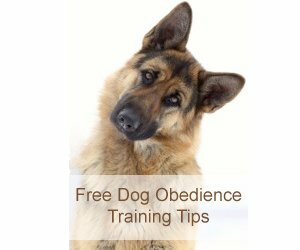 He is a purebred German Shepherd. He currently weighs 24 lbs and stands 15" tall. When I got him, he weighed 17 1/2 lbs. Not sure how tall he was. Nero eats Nutrisouce "Large Breed Puppy" one generous cup, 3x per day, plus 1 tbsp. ground meat / turkey, 2x per day. His appetite is terrific. He likes climbing stairs, walking on and off leash, play, small hillside backyard exploring. He's the most beautiful dog in the whole wide world.